Since the inception of pre workouts, in order for a product to be considered great it had to contain caffeine. Well, Mega Pre serves as proof positive that a pre workout doesn’t need stimulants to be great. 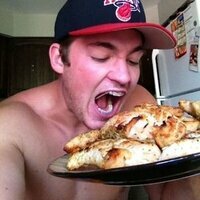 Stimulants and stimulant blends are typically the cheapest portion of pre workout formulas. Instead of adding a crazy cocktail of stimulants and overcharging you a glorified caffeine powder, we’ve invested those saved dollars into bringing you premium quality ingredients all at their clinically backed doses. What is the main difference between Mega Pre and Mega Pre Black? 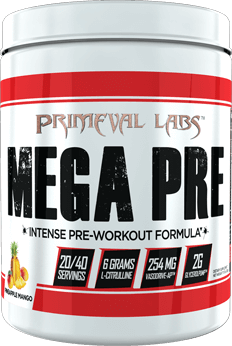 Mega Pre contains NO stimulants, while Mega Pre Black contains a combined 375mg caffeine from caffeine anhydrous and Infinergy dicaffeine malate plus hordenine and n-methyltyramine. This product is great! Upon taking it I felt a lil buzz. Once I started working out, I was focused and pumped. I felt like I was tweaking a lil bit (even though this stim free). Skin stretching pumps! This has helped bring down my bp. I have borderline/pre high bp and this stuff has really helped. This not only gave me insane pumps but I am in a good mood all day. I realized that I don’t need a stimulant pw. This is it! I highly recommend this stuff. Only criticism is that it is clumpy. Looks like moisture got in container. 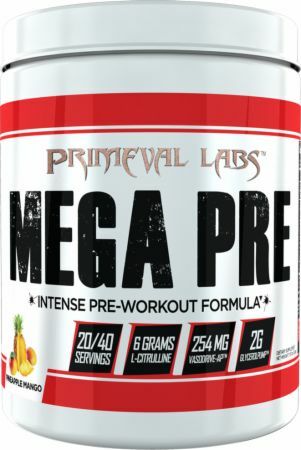 Directions For Mega Pre: Take 2 rounded scoops of mega pre in 10-12oz of cold water 15-20 minutes prior to training. Assess tolerance by starting with 1 rounded scoop. Never exceed 2 rounded scoops.